We've seen our fair share of video game mods over the years, ranging from the absurd to the downright awesome, but we can safely say that this one comes under the latter. Once Rockstar Games launched Grand Theft Auto 5 on PC, it was only a matter of time until the modders showed up to put their own spin on the open-world action game. But standing out from the crowd is JulioNIB, who's making headlines for his very impressive Iron Man mod. The Brazilian coder posted a video on his YouTube flaunting his latest creation, which is far more than just a skin of the Marvel superhero. Rather, players have all of Iron Man's well-known abilities at their disposal for ultimate destruction and enjoyment. This includes flying, power-punching and kicking, missiles as well as the ability to shoot rocket blasts from his hands and chest. But no, you can't take his helmet off and morph into Robert Downey Jr. That's, err, a very different mod. The video shows that the police certainly can't hack the Avenger beat-down, with a five-star wanted rating quickly flashing up. 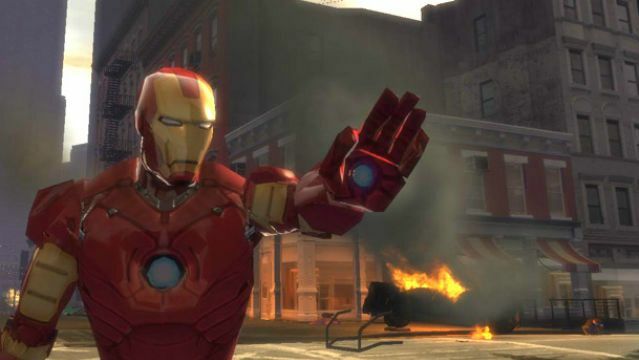 JulioNIB isn't a newbie to this; he previously added Iron Man into GTA 4, alongside the Hulk and Spider-Man. He also says on his crowdfunding page that he plans on bringing The Flash, Superman and Zombies into GTA V, so stay tuned for those. If you want to don the red and yellow suit yourself, then you can find more information on his channel. GTA V is currently available for PC, PS3, PS4, Xbox 360, and Xbox One.